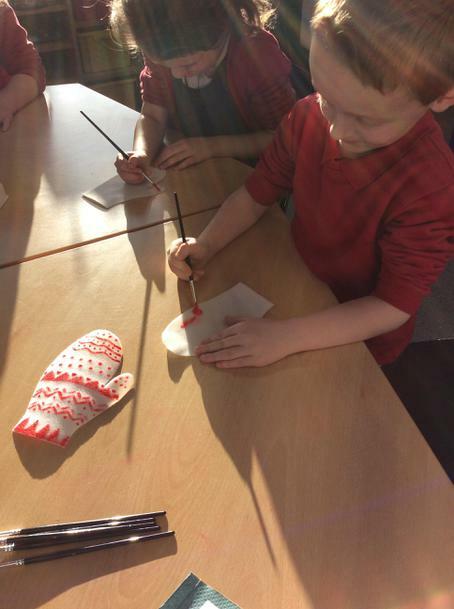 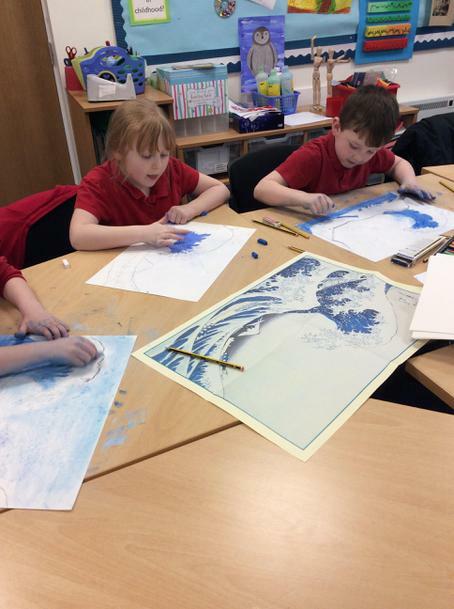 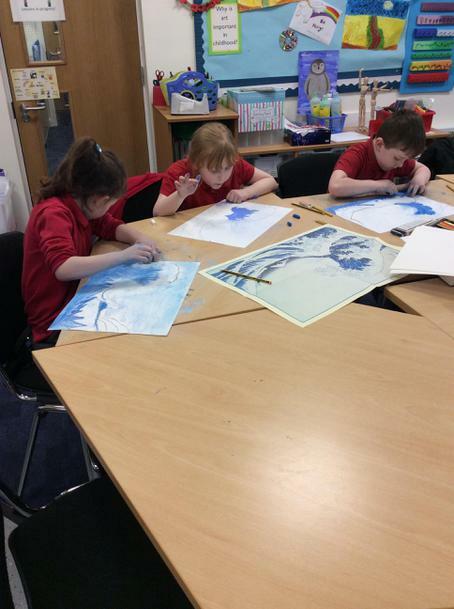 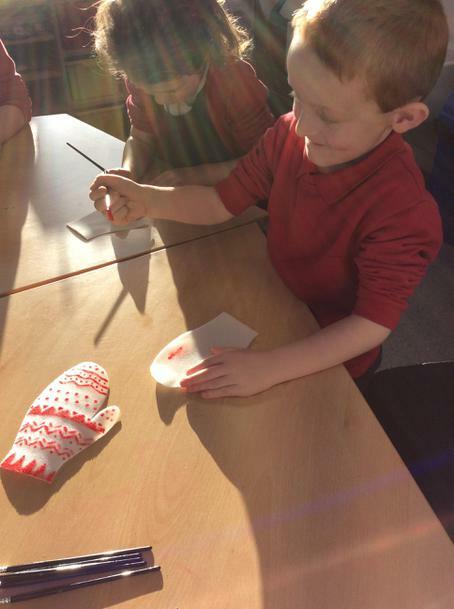 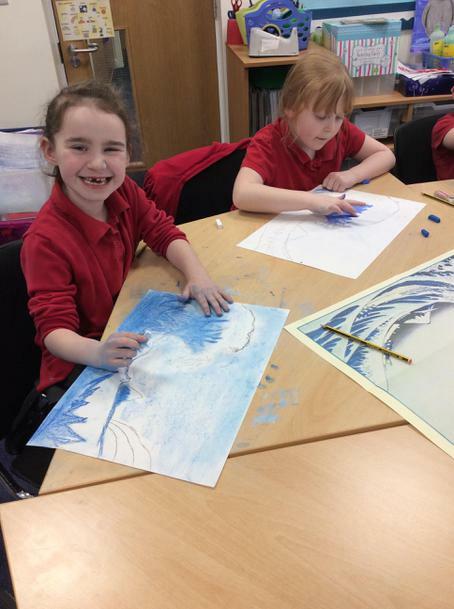 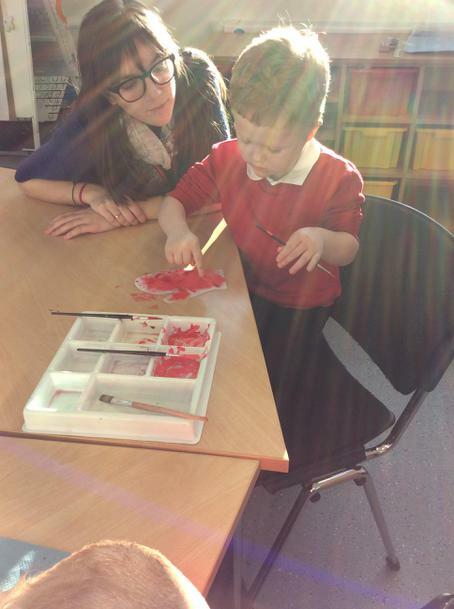 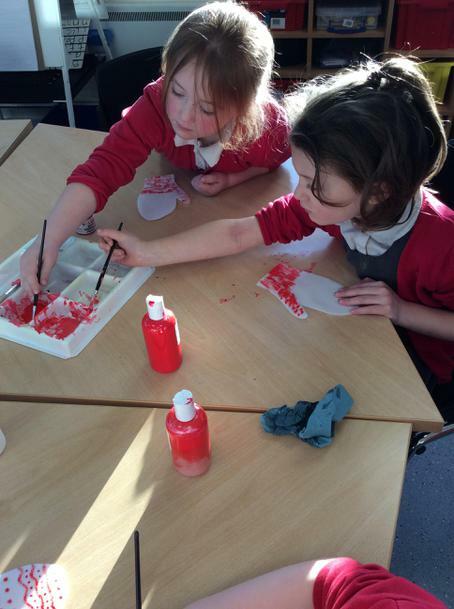 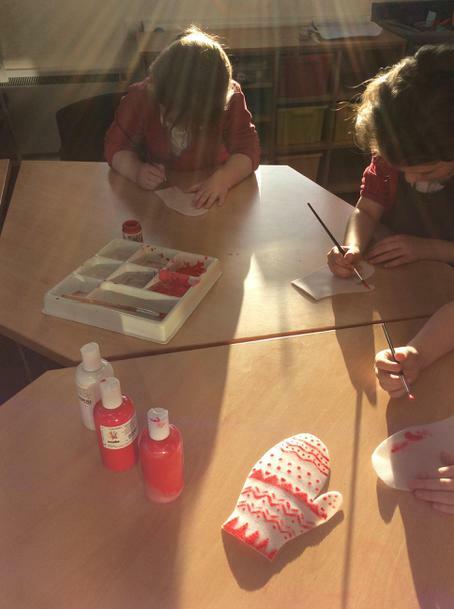 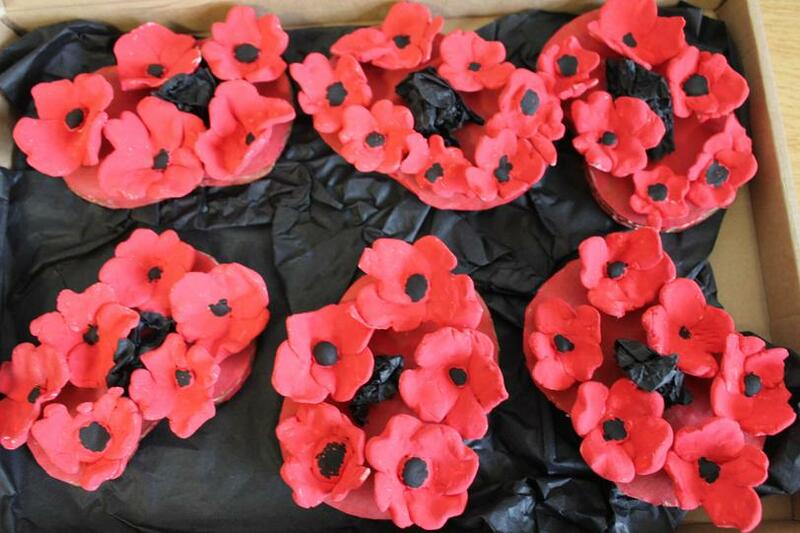 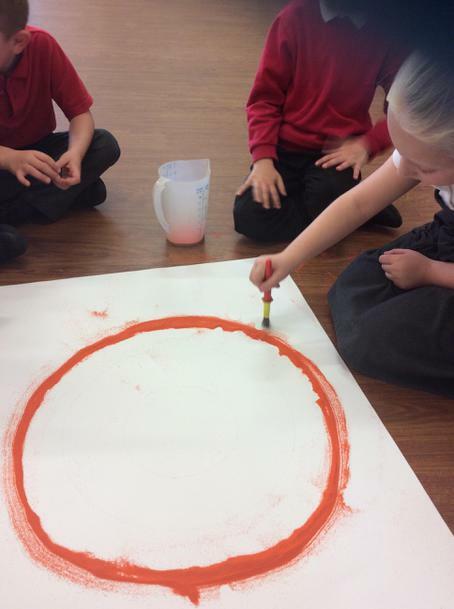 My name is Miss Hargreaves and I am lucky to teach an extra art class to small groups. 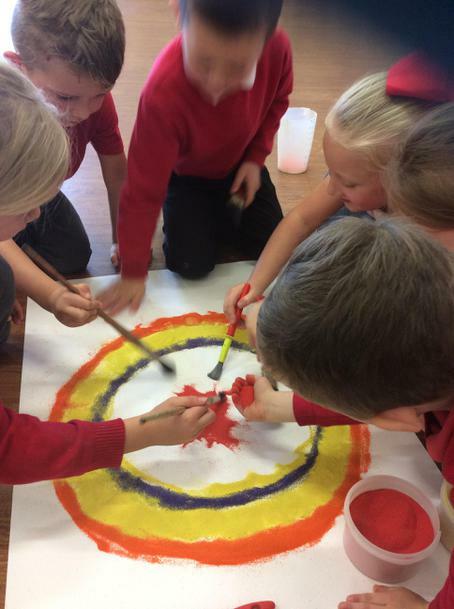 In a busy and full school curriculum, I believe it is still important to keep creative subjects such as art, music and drama. 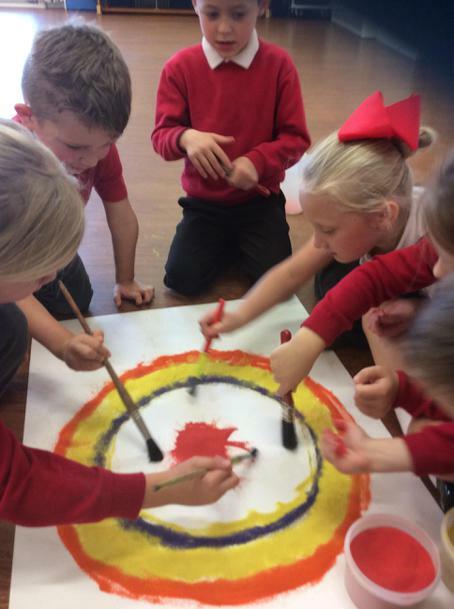 Art encourages creativity, imagination and expression without boundaries. 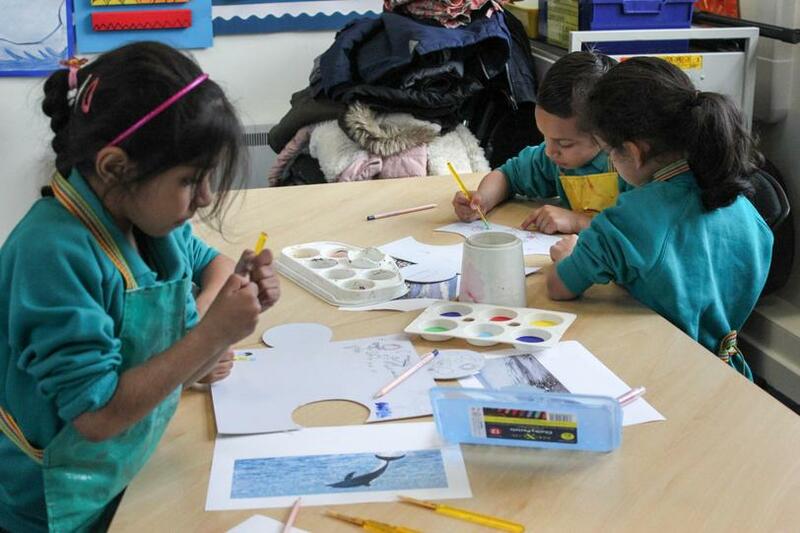 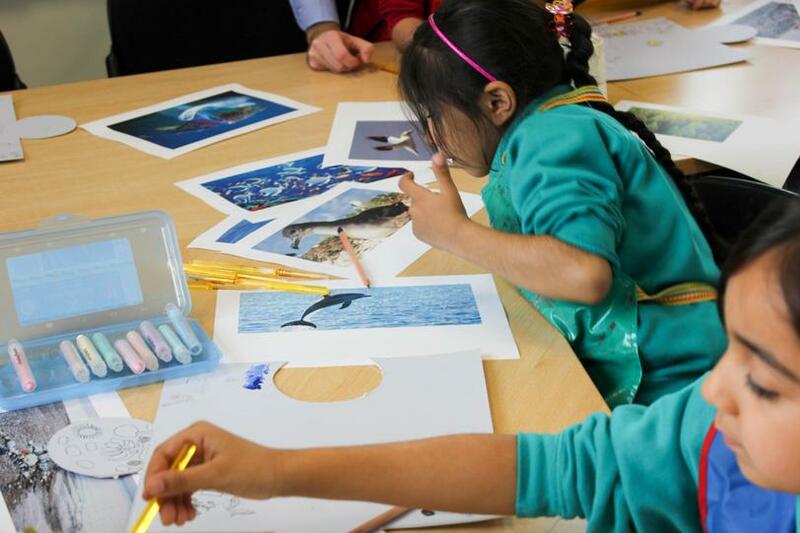 I encourage children that there is no 'right or wrong' in art, it is simply their own style. 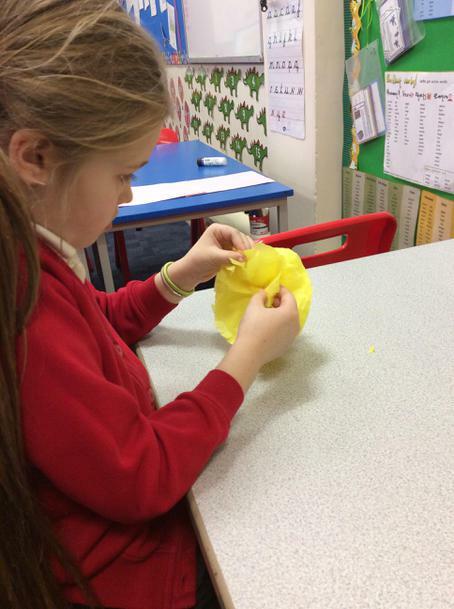 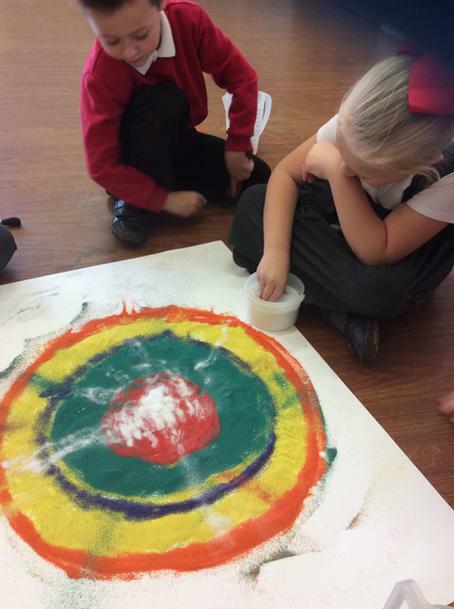 This allows less confident children to 'have a go' without fear of getting something wrong. 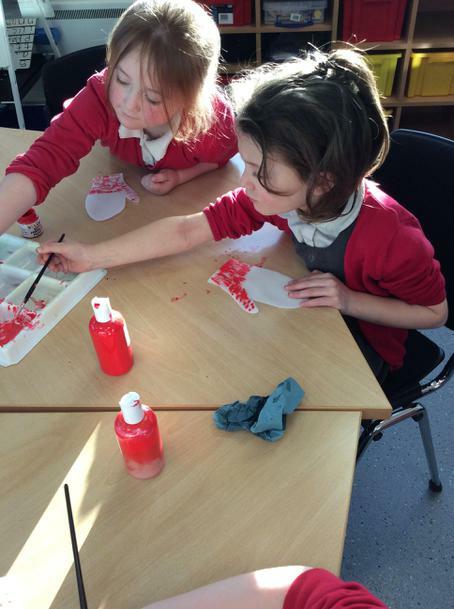 I also encourage them to turn a mistake into something positive and that it's ok to make a mess! 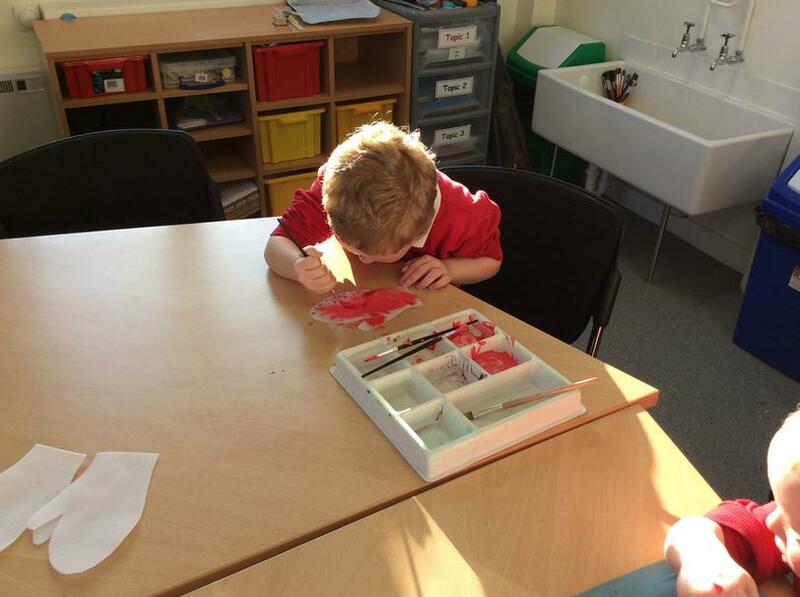 Art also benefits fine motor skills. 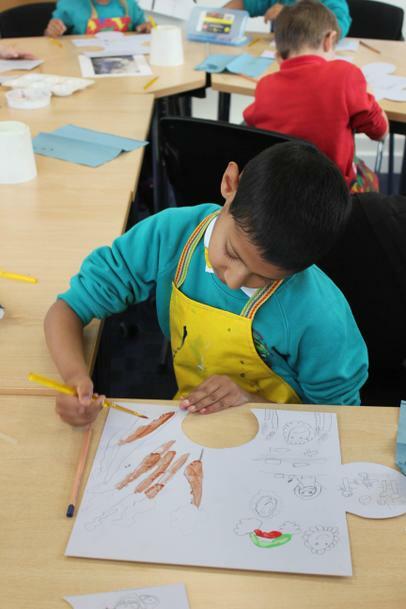 Teaching children to hold and control a paintbrush, charcoal, pastels etc helps them in everyday activities as well as academic learning. 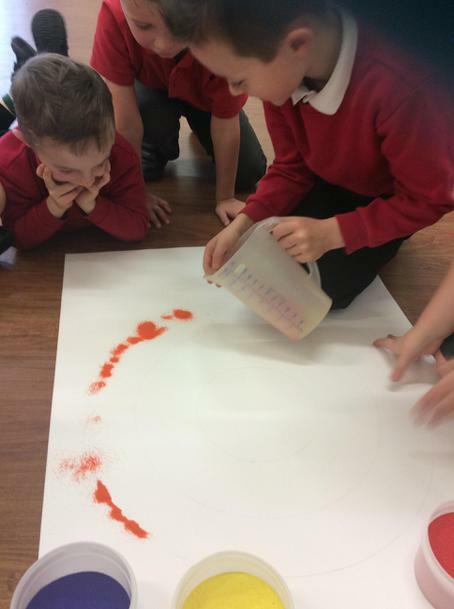 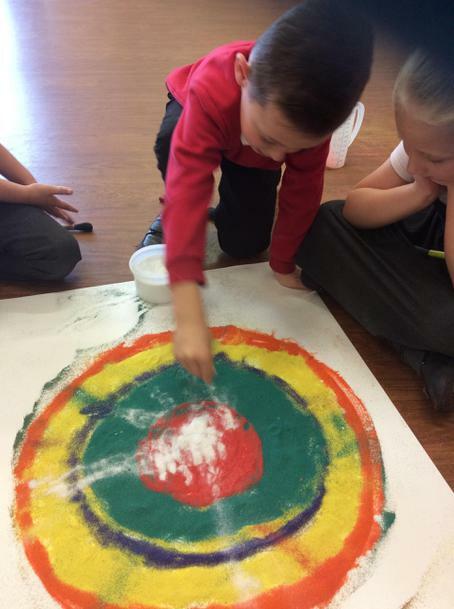 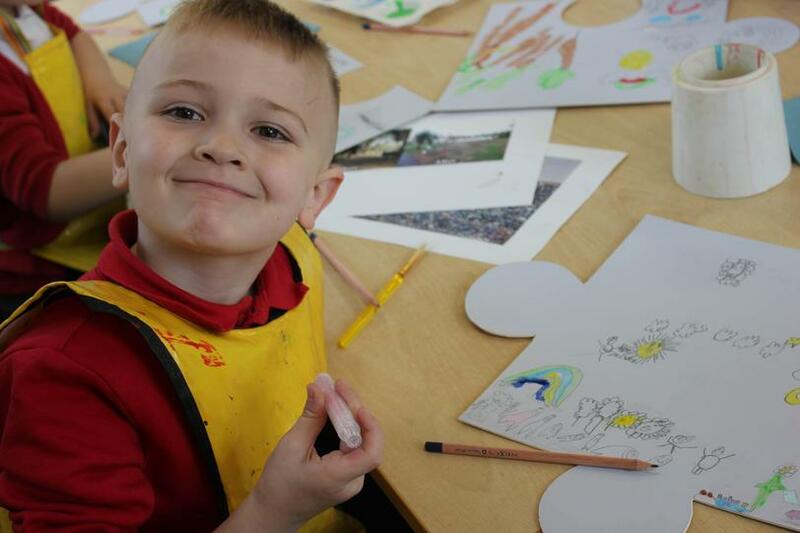 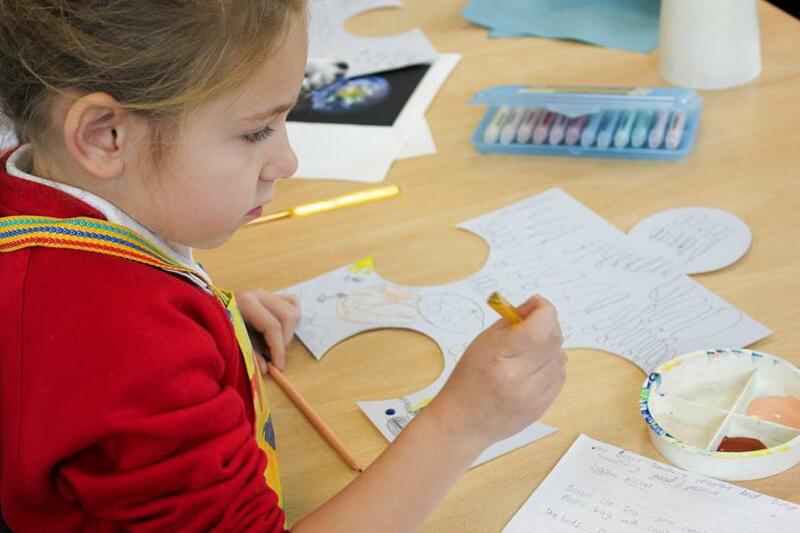 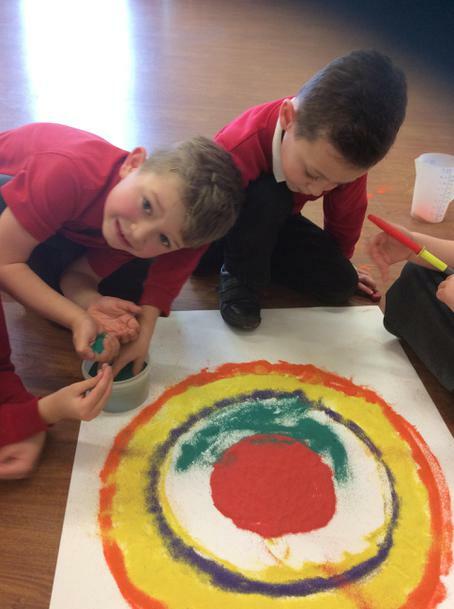 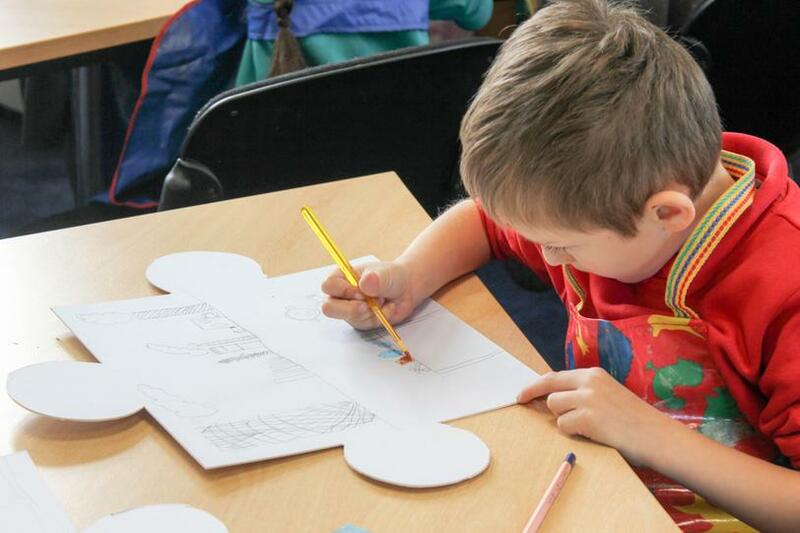 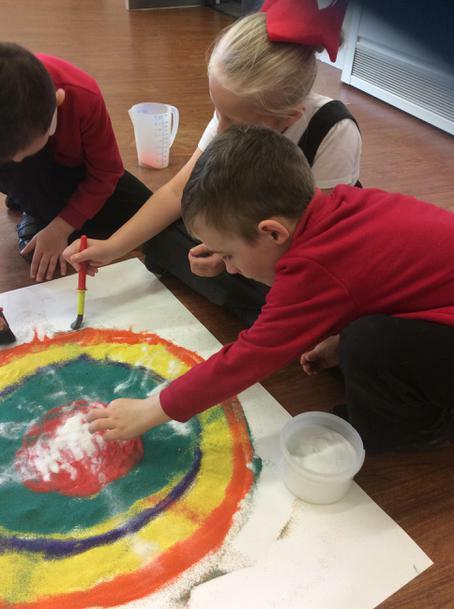 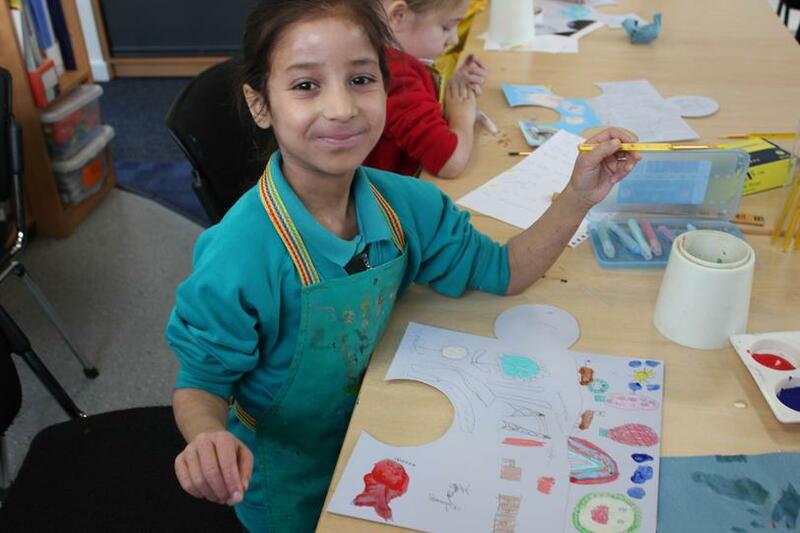 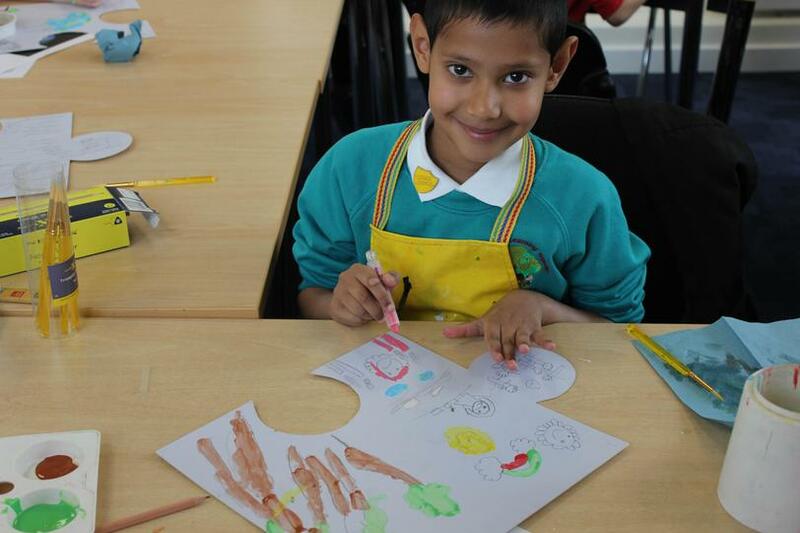 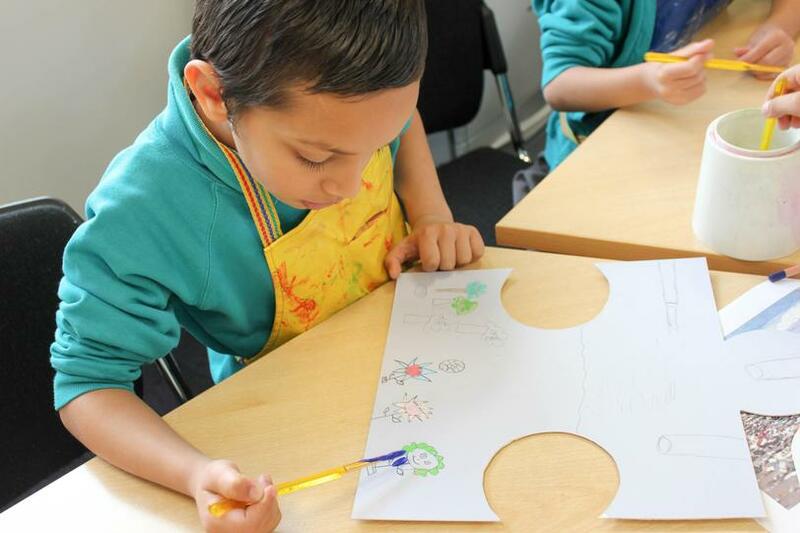 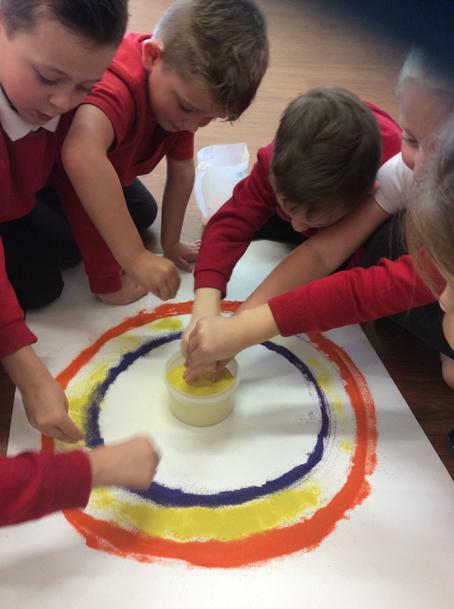 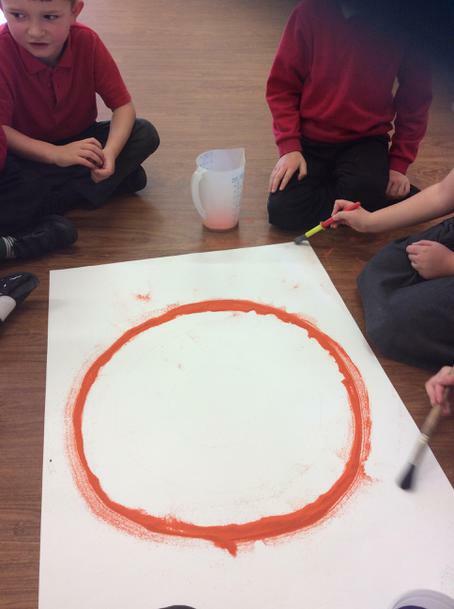 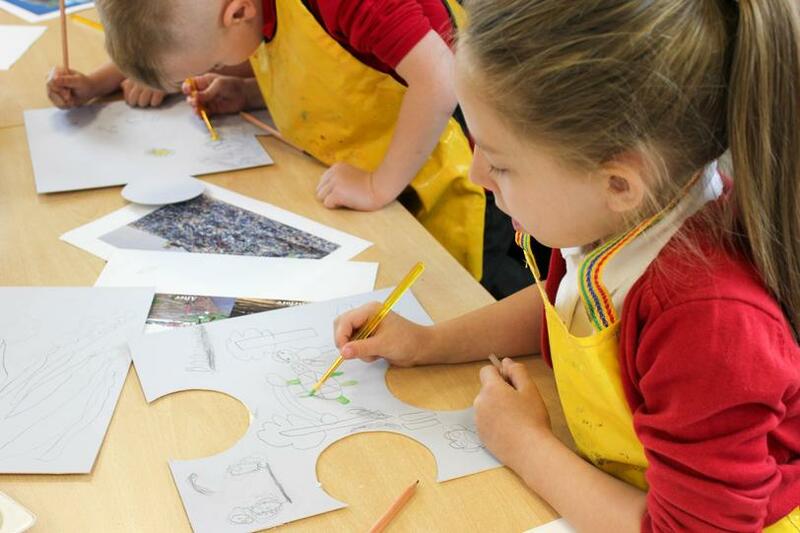 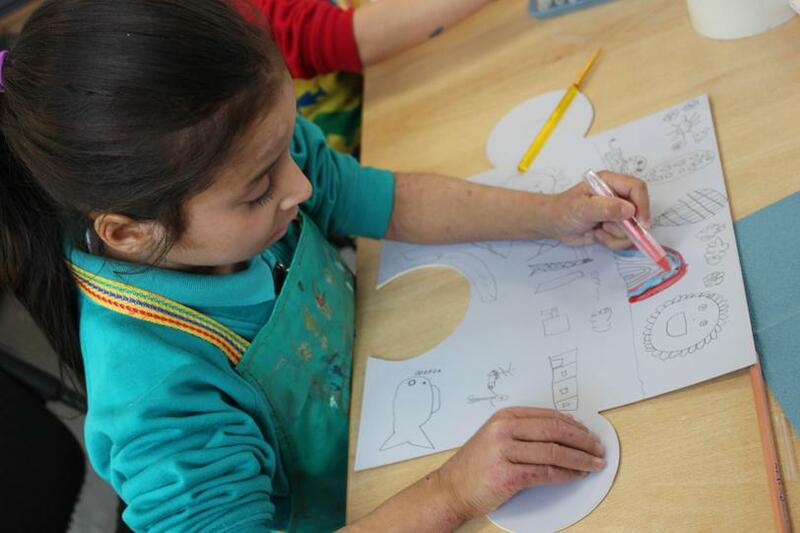 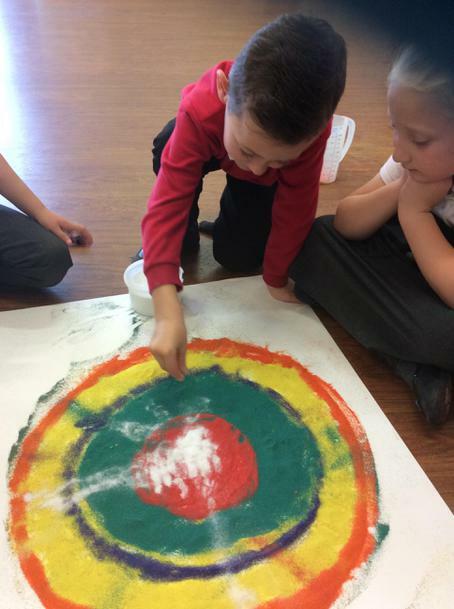 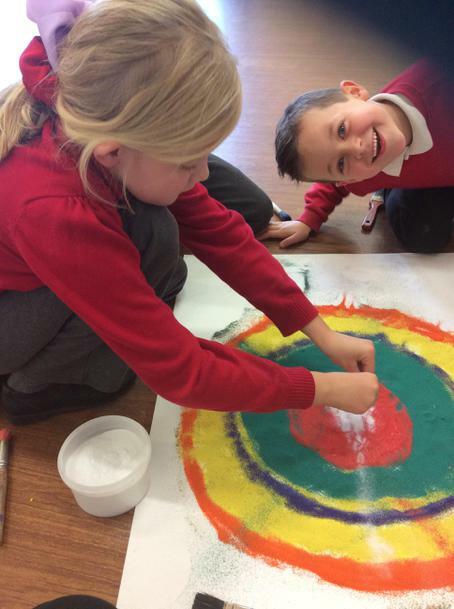 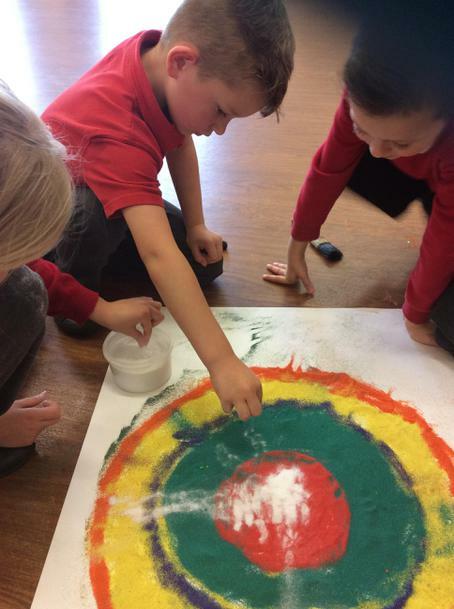 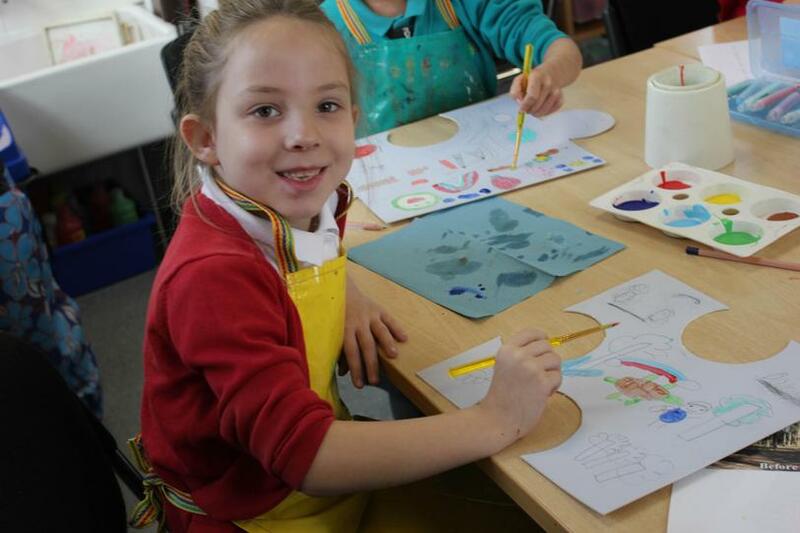 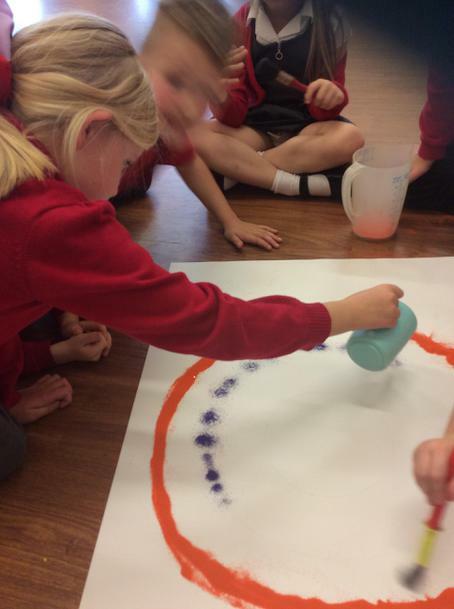 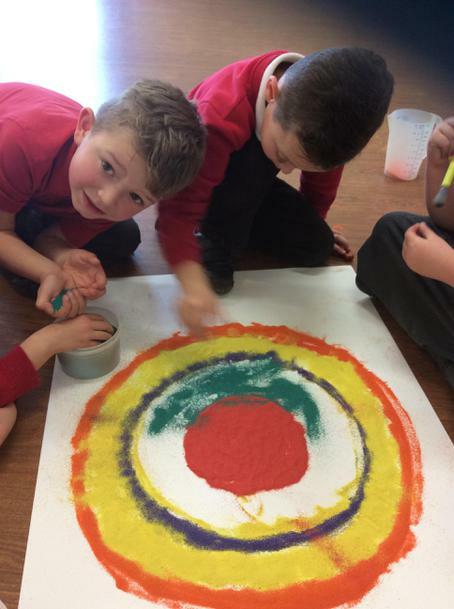 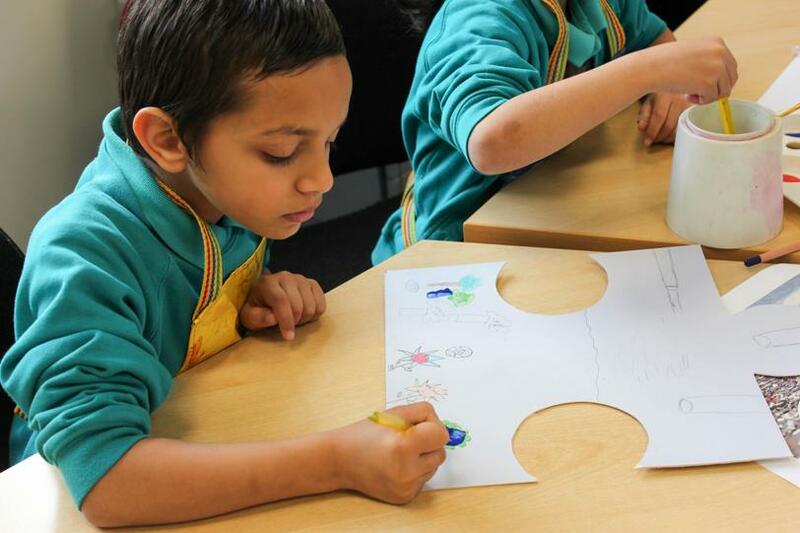 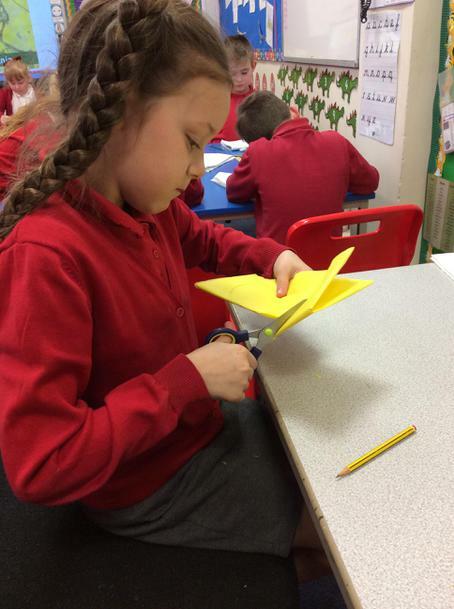 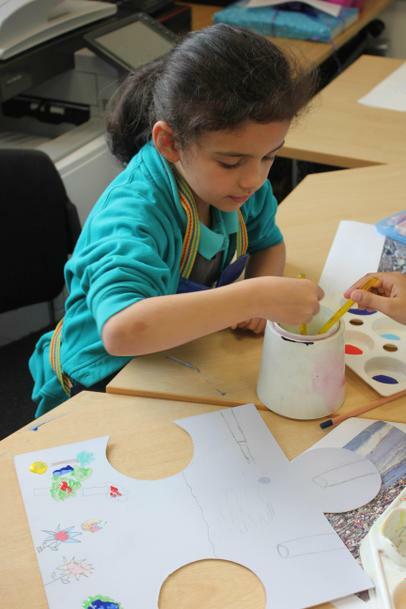 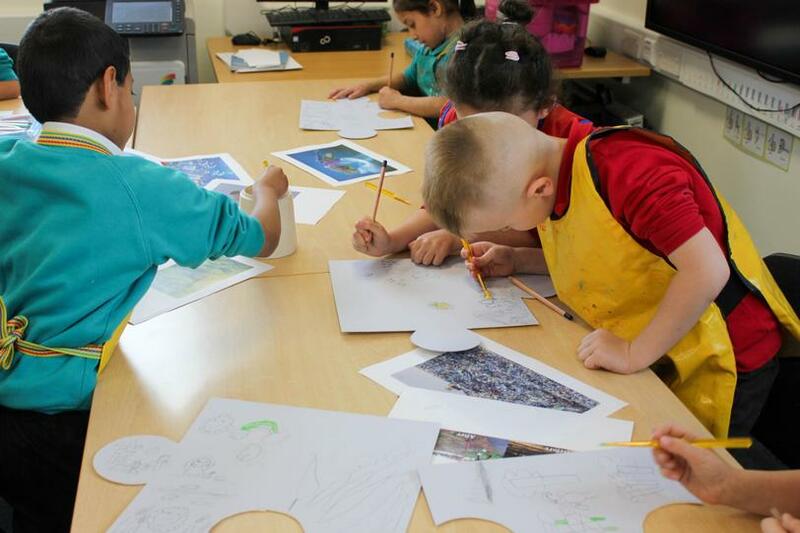 The focus, perseverance and collaborative learning in art also benefits children in academic subjects, teaching them to develop new skills, adapt what they know and keep going until they are happy with their finished piece, whether working alone or as part of a team. 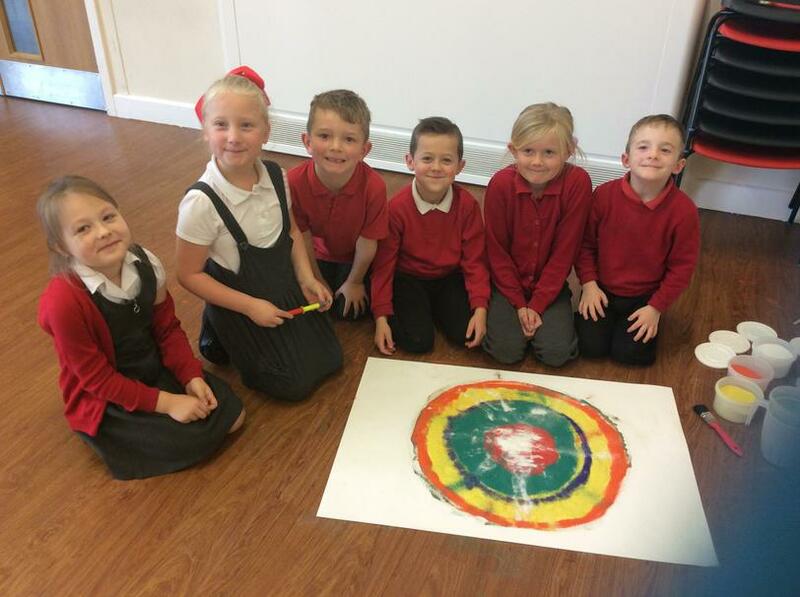 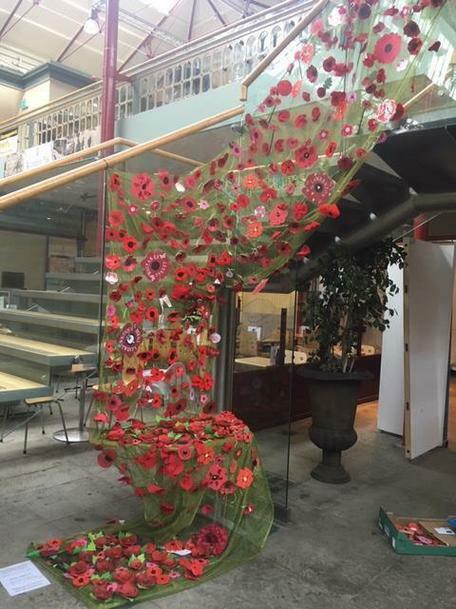 Art is a fantastic conversation starter. 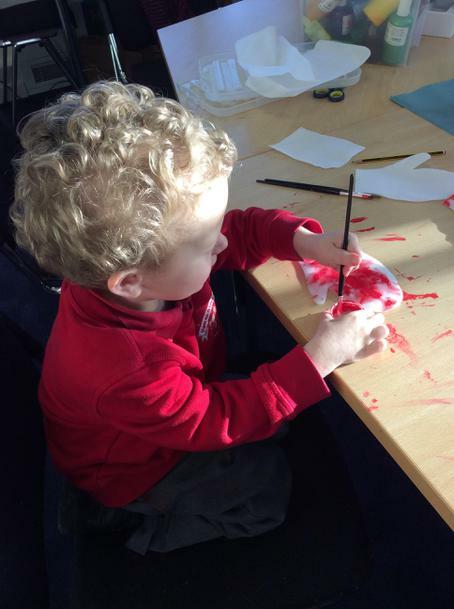 Some children love to sit and chat happily about their weekend activities, their families or their ideas as they are working, others like to quietly work in their own little 'bubble'. 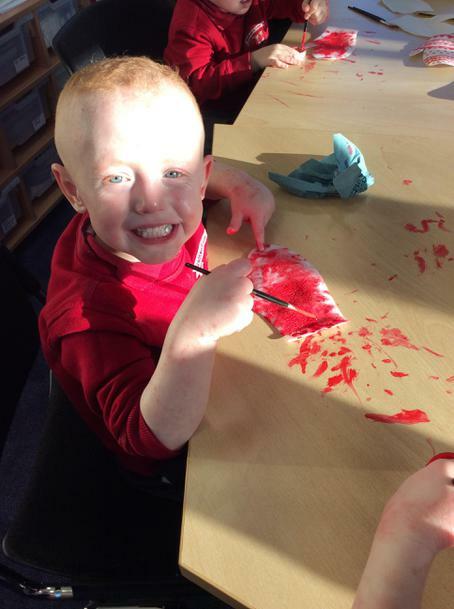 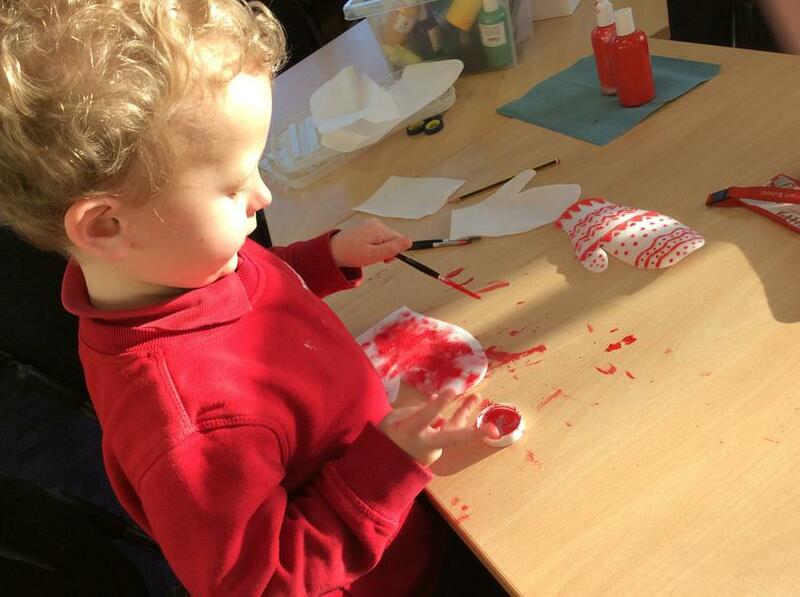 I would love to see any creative work your children do at home, please feel free to send the work in with your child. 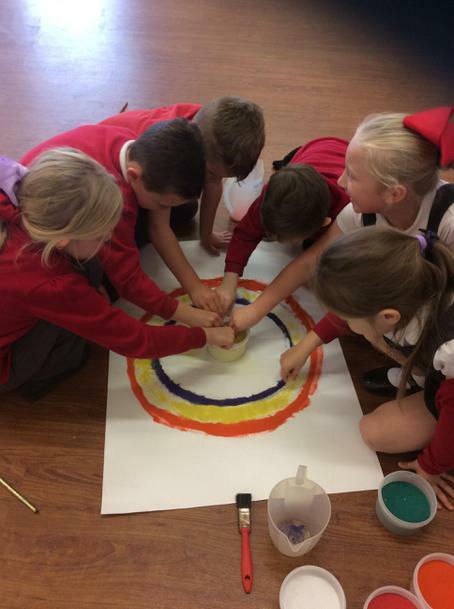 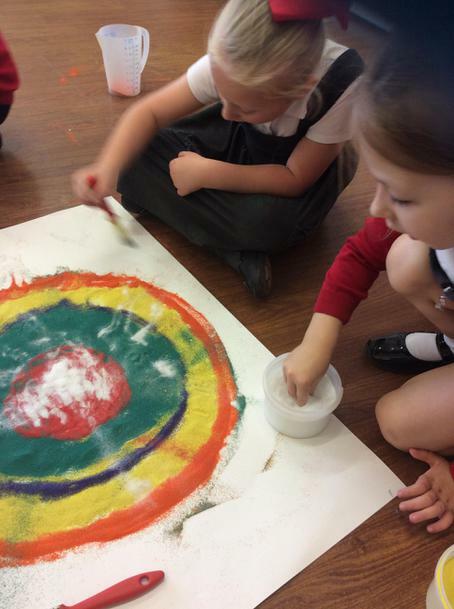 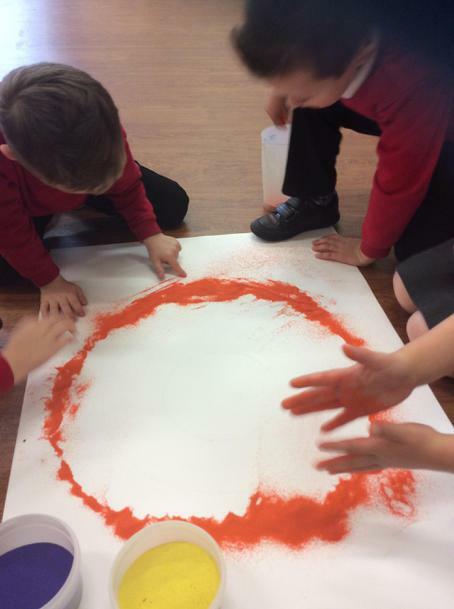 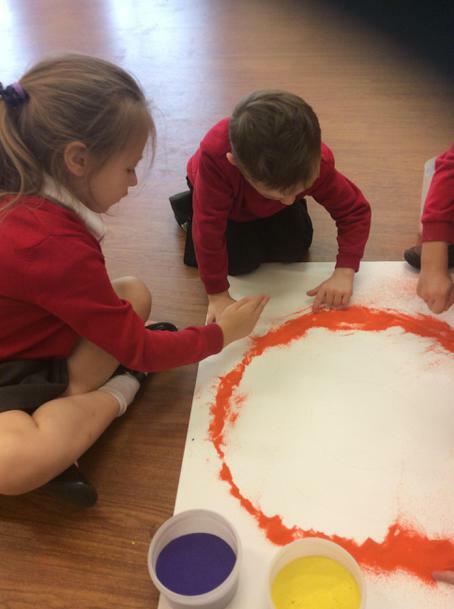 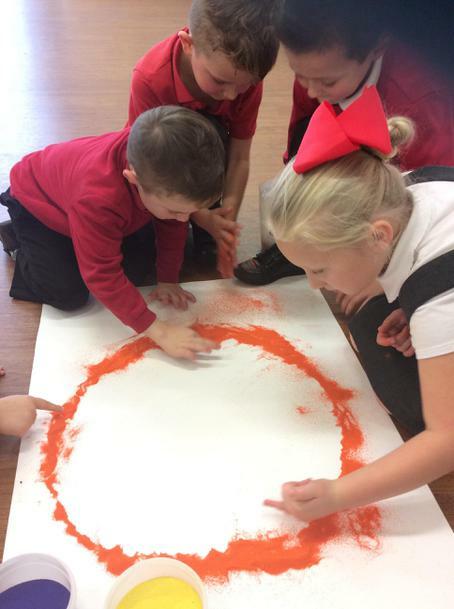 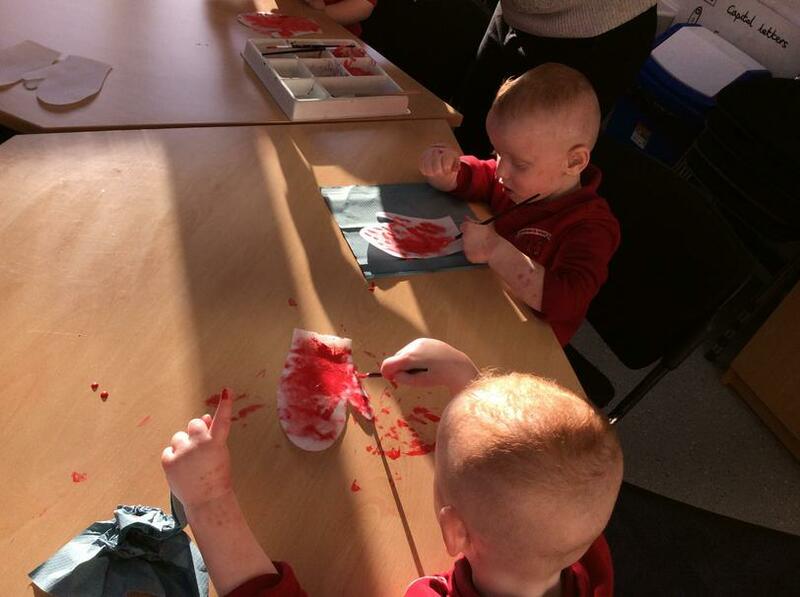 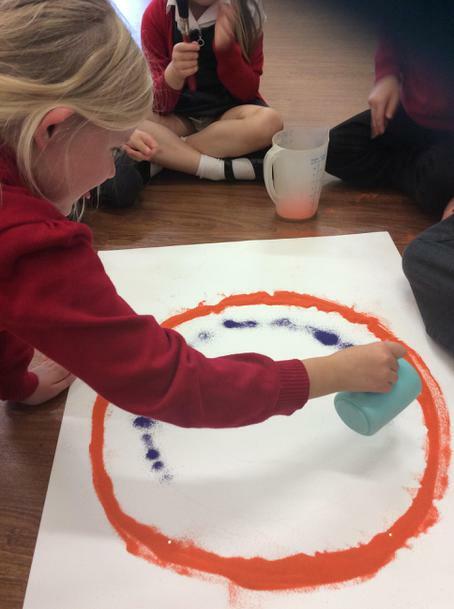 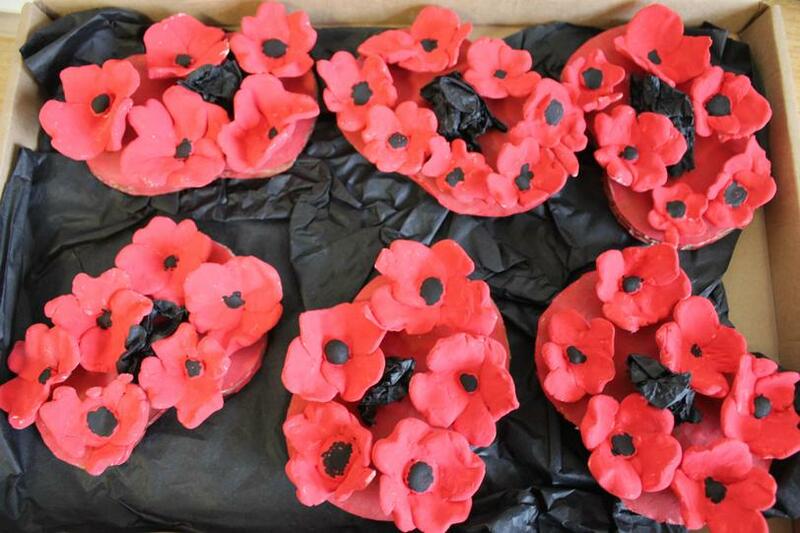 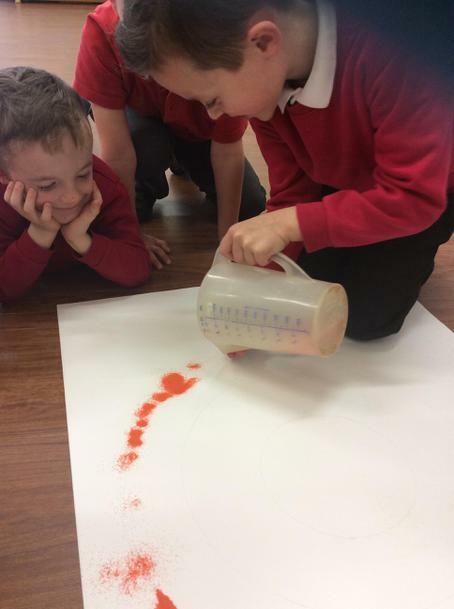 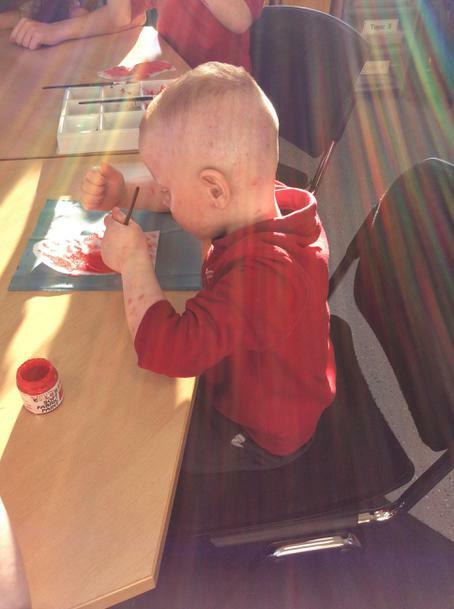 Every term we are linking up with another infant school on an art project. 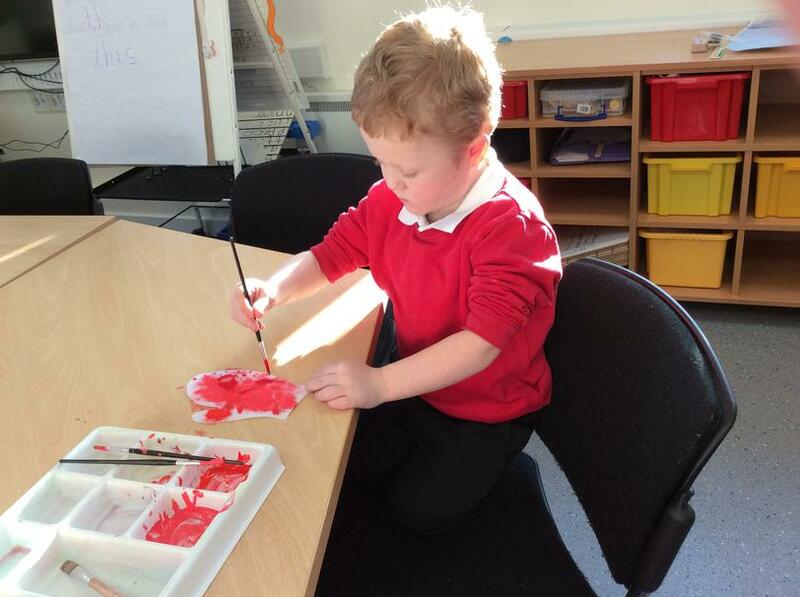 This term is was the turn of Audley Infants. 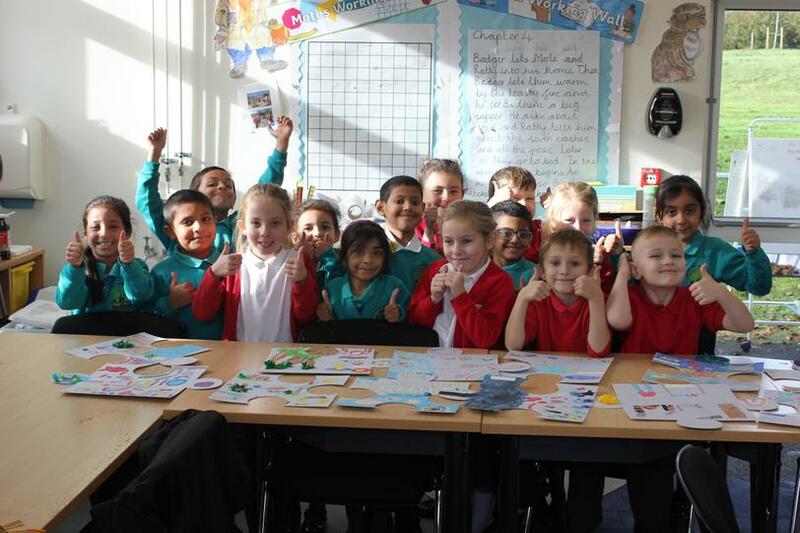 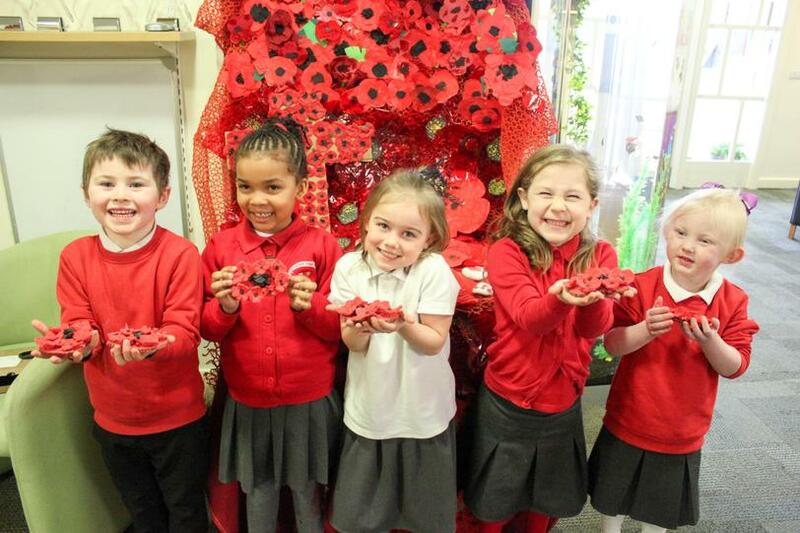 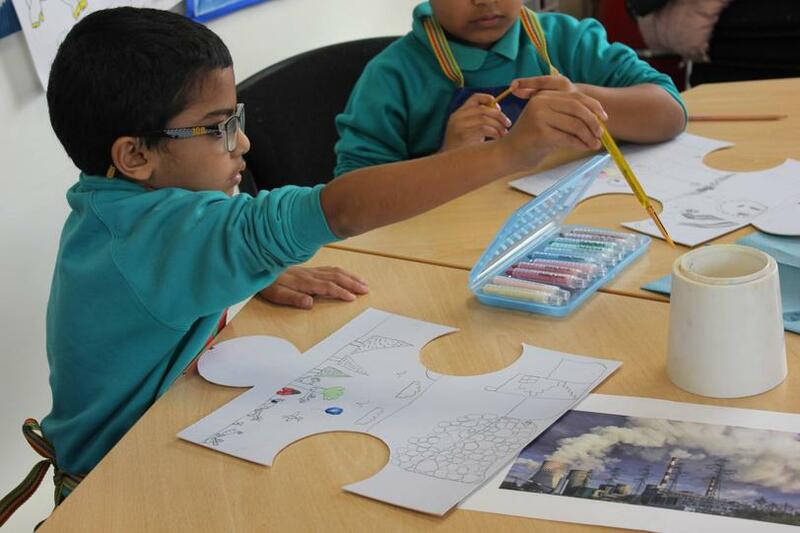 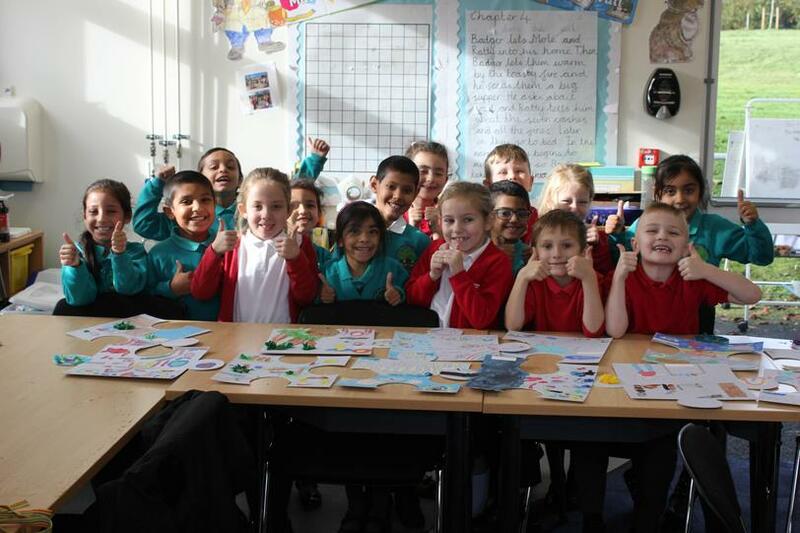 Eight children from each school worked on a project about the environment 'Saving the world piece by piece'. 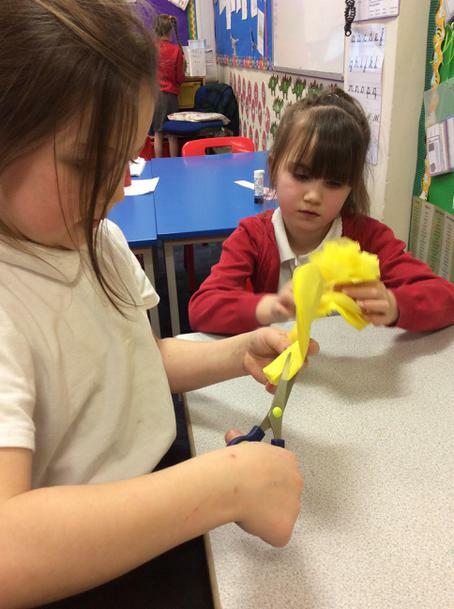 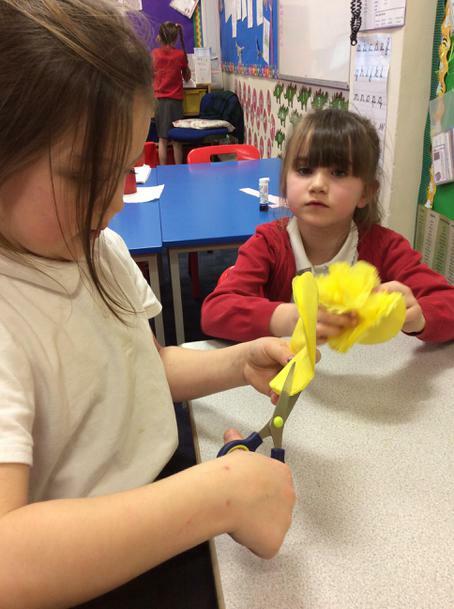 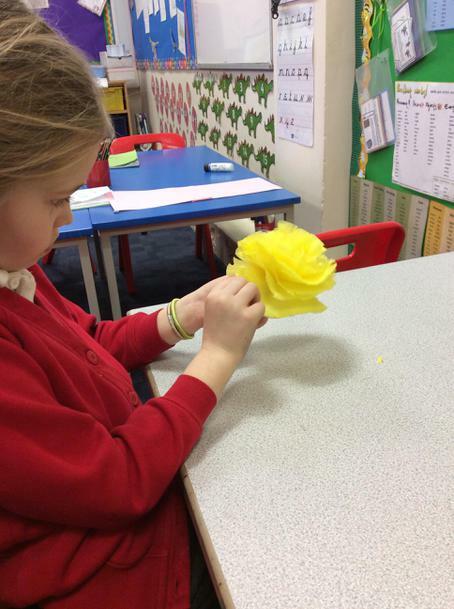 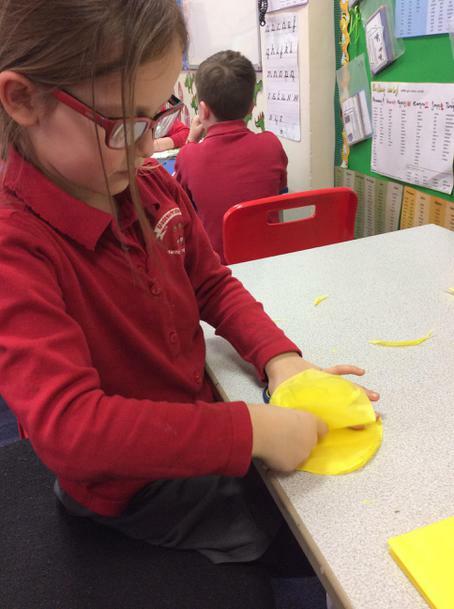 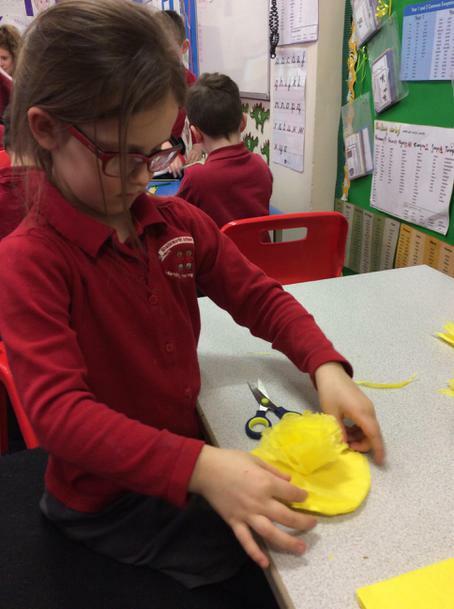 The children enjoyed sharing their ideas and getting to know one another.